So – Vivid Light. Well, Vivid Light transforms Sydney into a wonderland of ‘light art’ sculptures, innovative light installations and grand-scale projections for all to enjoy – for free. 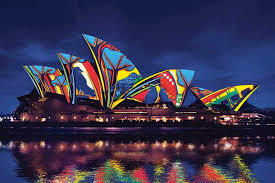 It is a magical celebration of light-design excellence in the world’s largest outdoor ‘art-gallery’. It is seen as a unique ‘Vivid Sydney’ experience. 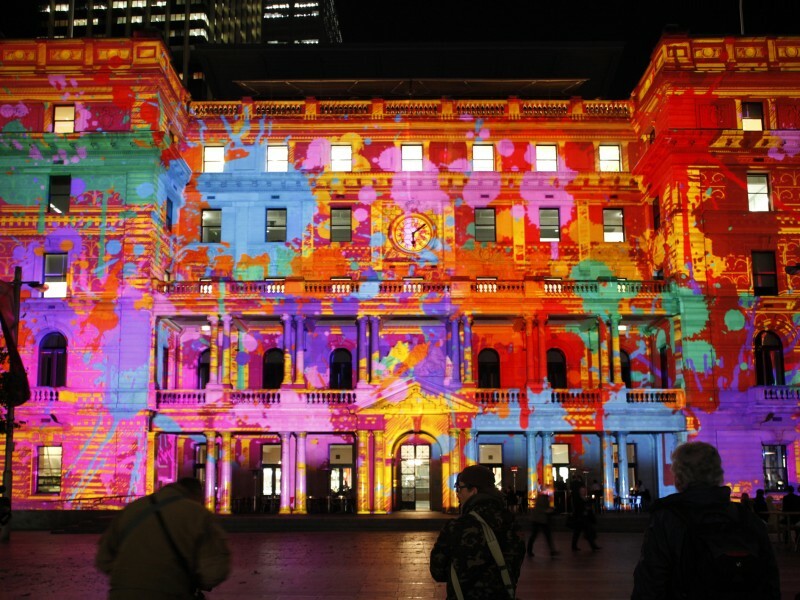 A key aspect from the festival is the world-famous ‘Vivid Light Walk’ which this year has returned with more than 60 spectacular light art installations, large-scale illuminations and mesmerising 3D-mapped building projections lighting up Sydney’s waterfront. 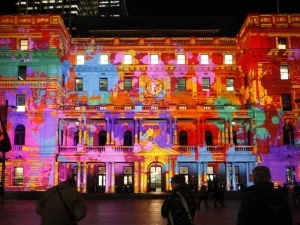 It also enables people to follow the series of interactive and immersive light art sculptures and installations from The Rocks, past the Museum of Contemporary Art through to Customs House. This year the festival has extended to three new city precincts, including Taronga Zoo, The Royal Botanic Garden and The Galeries on George Street. People can walk through the historic Queen Elizabeth II Gates from the Opera House Forecourt, which will be brought to life with 3D-mapped projections. People have the option to follow the illuminated sea-wall to a wonderland of trees and bushes that glow and shimmer. Now, they take some lighting! A key aspect at this year’s festival is that an illuminated trail of amazing and endangered species will light up Vivid Sydney’s wildest precinct as part of Taronga Zoo’s Centenary celebrations. Captivating creatures, ranging from the magnificent Asian Elephant to the vividly coloured Corroboree Frog, are inspiring visitors to support Taronga’s efforts in creating a positive future for wildlife and people together. To put the icing on the cake, the option of enjoying the brilliant spectacle from the comfort of a harbour ferry or cruise vessel is available. The many cruise vessels and ferries that travel around the harbour are decorated with special lights that change colour as they enter the different Vivid precincts. Vivid Light has walls that talk, shadows that spring into colour and building facades that reveal a hidden world of fantasy and magic! The city transforms into a night-time wonderland through large-scale illuminations, laser lightshows and 3D-mapped projections. How good does it get? So, a wonderful and inspiring event that shows to you – on a national scale – the sheer edge good lighting can give.